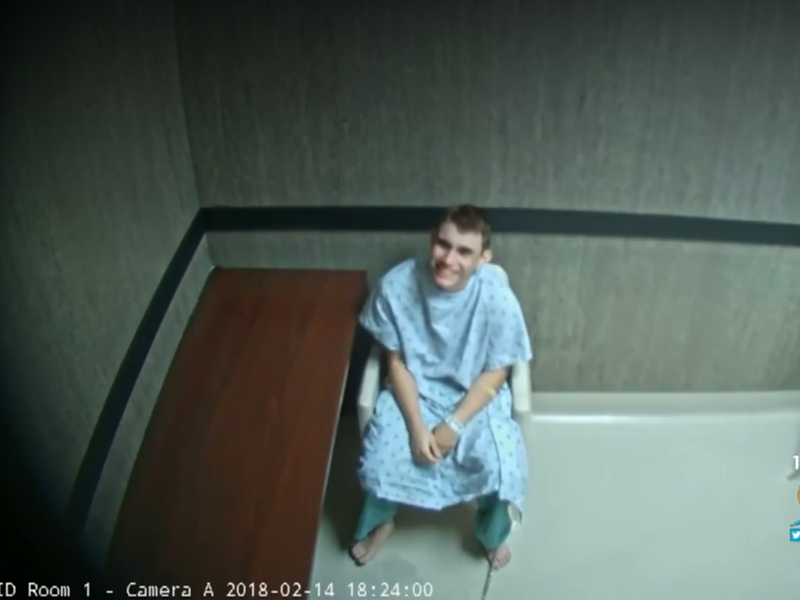 SUNRISE, Fla. -- Prosecutors on Wednesday released hours of video interrogation of Florida's school shooting suspect, footage showing the young man slouching in a chair, being repeatedly urged by a detective to speak louder and punching himself in the face when he is alone. Wednesday's release came after several delays. In the video, Cruz told the detective that he has long heard a voice or a demon in his head and that that voice told him to burn, kill and destroy, CBS Miami reports. The detective told Cruz, after lengthy questioning, that he doesn't believe Cruz hears a voice and that he's using the voice as an excuse for the violence. Cruz also claimed that he had designs on another violent attack, planning to shoot up a park a week before the mass murder at Stoneman Douglas. Cruz at one point early on, while alone in the interrogation room, says to himself "kill me" and "I want to die." Guy Grace, the security head for the Littleton, Colorado, school district, presented the commission Wednesday with suggestions for improving safety at Florida's schools. He said his district boosted security after the 1999 shooting at Columbine High School that left 13 dead plus the two student attackers. He said measures can range from high-tech solutions such as camera systems that can alert monitors to potential problems to simply making doors easier to lock. Stoneman Douglas teachers complained after the shooting that their classrooms couldn't be locked from the inside - they had to go into the hallway with a key.